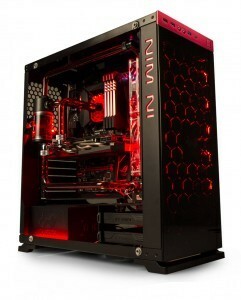 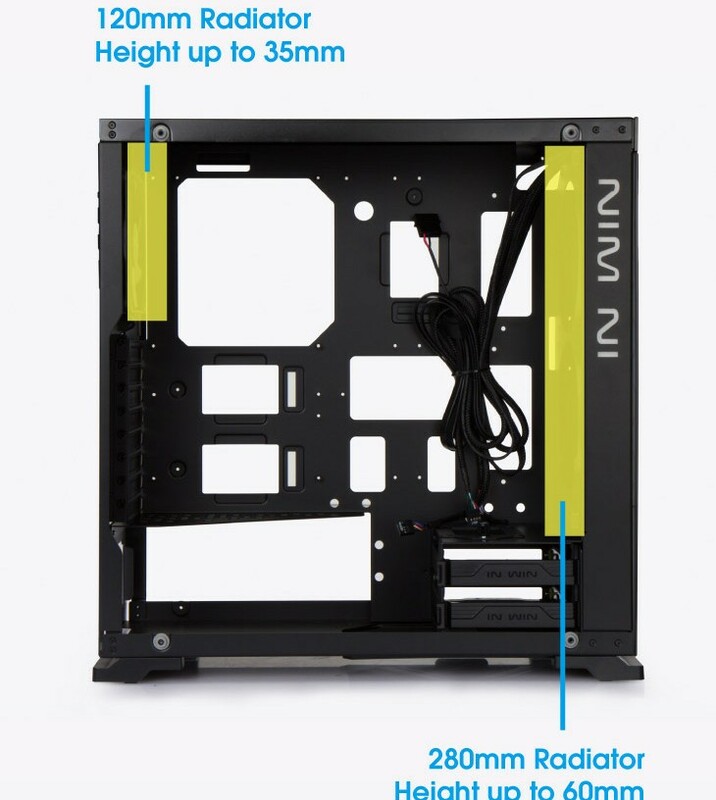 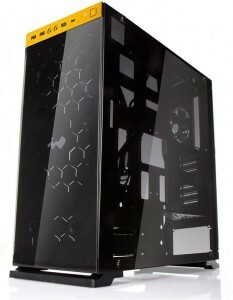 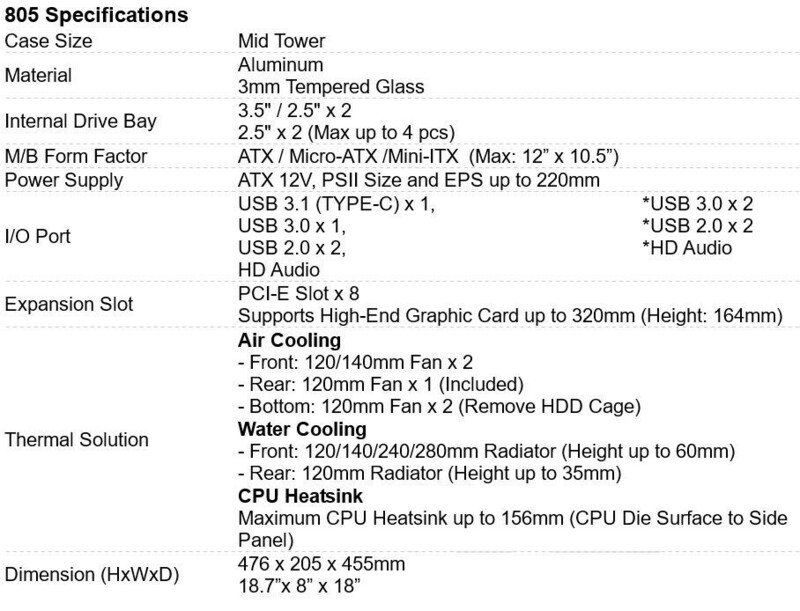 In Win recently has announced its new 805 ATX PC case. 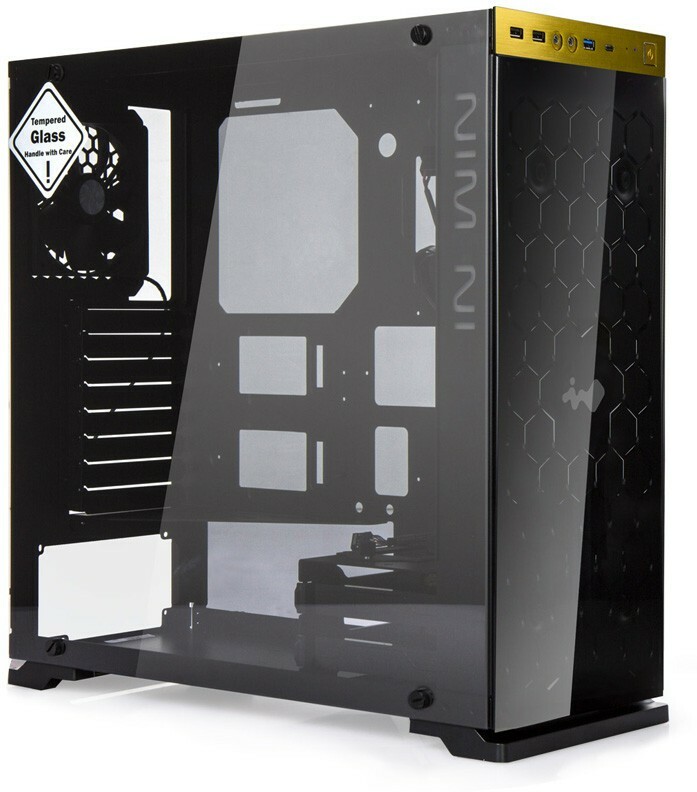 The new 805 case also made out of aluminum and tempered glass. Its design way, so you can see every aspect of your high-end PC build. 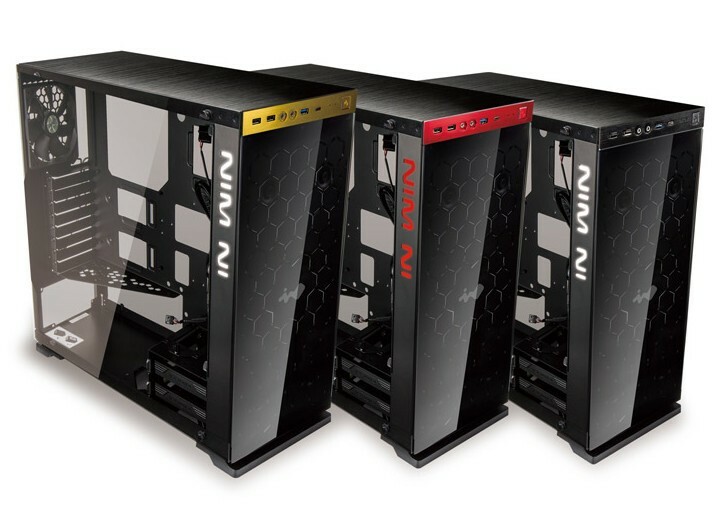 The 805 is available in all-black, or with accents of red or gold. 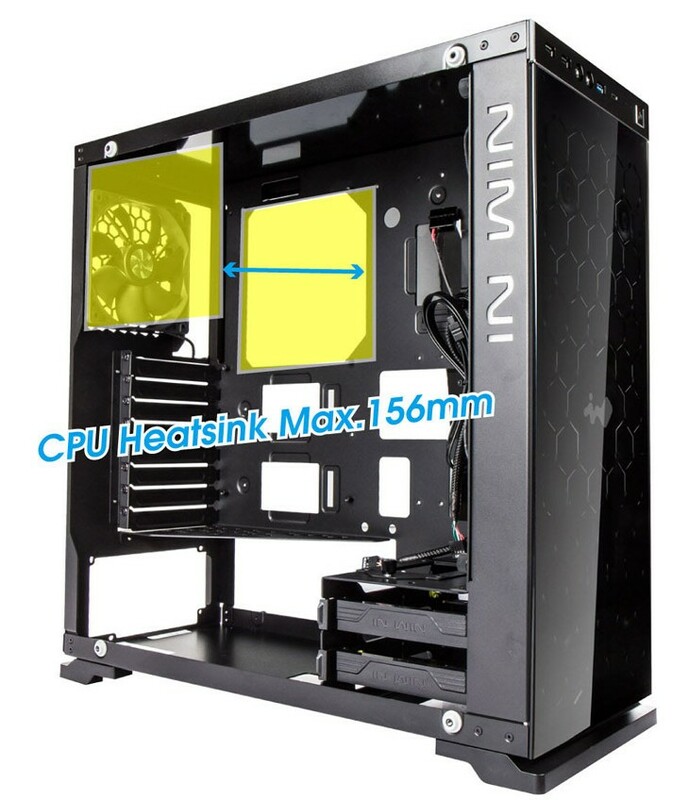 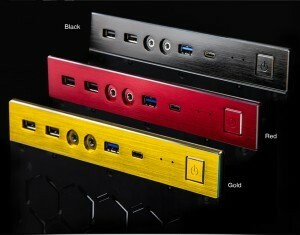 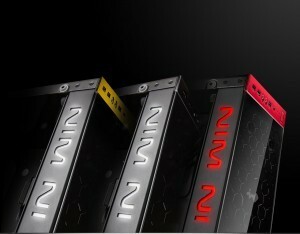 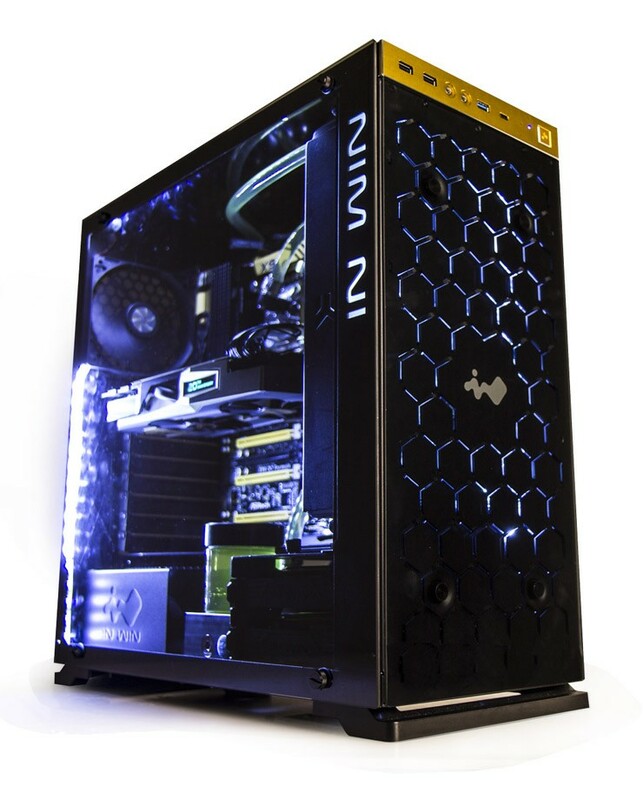 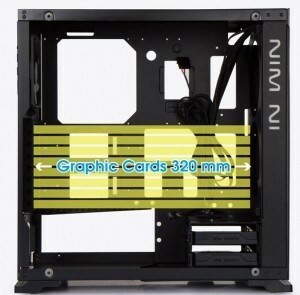 The In Win logo on side of the case has built in LEDs, white LED for black/gold versions or red LED for red version. 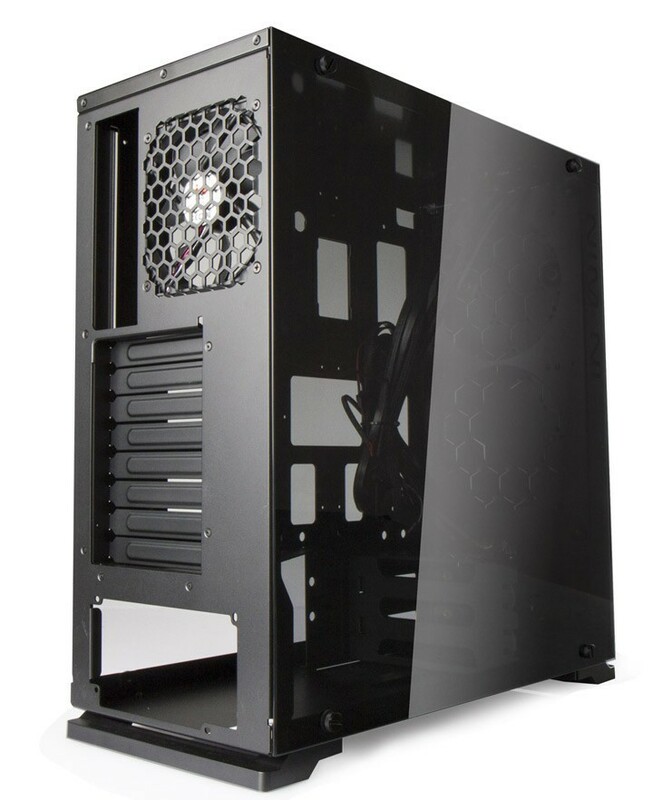 The case also support extensive air and water cooling options are included, air-cooled tower heatsinks with 156mm height, support for 280mm radiators up to 60mm thick in the front, and a 120mm radiator and 35mm thick at the rear. 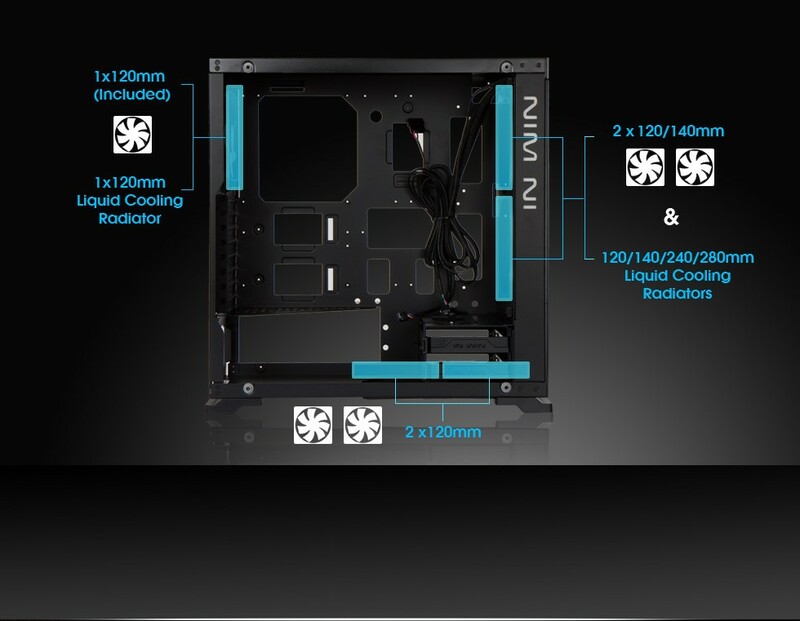 If you want more cooling then two more 120mm fans can also be mounted in the base for additional cooling. 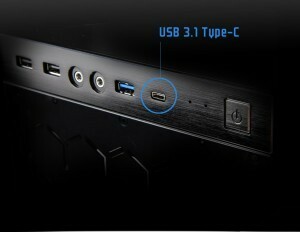 At the front its support the latest USB 3.1 Type-C connector (1x) for ultra-fast transfer, also USB 3.0 (1x), USB 2.0 (2x) and 3.5mm HD audio jacks.